Frank Whittle (Left, in his study)holds the distinction of having invented a piece of equipment that would have a world-wide application and which would fundamentally change the world in which we live. He was the inventor of the jet engine. Young Frank came to live in Leamington in 1916 when his father Moses bought a small engineering firm in Clinton Street called The Leamington Valve & Piston Ring company which was in most respects a one-man band. The family were originally from Lancashire and Moses was a skilled mechanic with something of a reputation as an inventor. His son spent many hours helping in his father’s workshop for tuppence an hour making slots in valve stems and he had an innate understanding of all things mechanical. Frank attended Milverton Primary School in Rugby Road before winning a scholarship to the Leamington Municipal School which was about to be resurrected as a grammar school and named Leamington College. Being fairly small in stature, Frank was nicknamed ‘grub’ at school and frequently had to run the gauntlet of local boys from other schools keen to engage in some fisticuffs with their allegedly ‘posh’ grammar school contemporaries. He wasn’t particularly academic and was demoted from the ‘A’ to the ’B’ stream at the College which seems to have worked wonders for his resolve since the following year he came top of his form in maths. He spent many hours in the old town library in Avenue Road reading about astronomy, engineering and physiology and there he first found out about gas turbines, a subject that would engage his interest for the next twenty years. After joining the RAF as an apprentice at sixteen, Frank subsequently got a place at the RAF College Cranwell as a Flight Lieutenant. 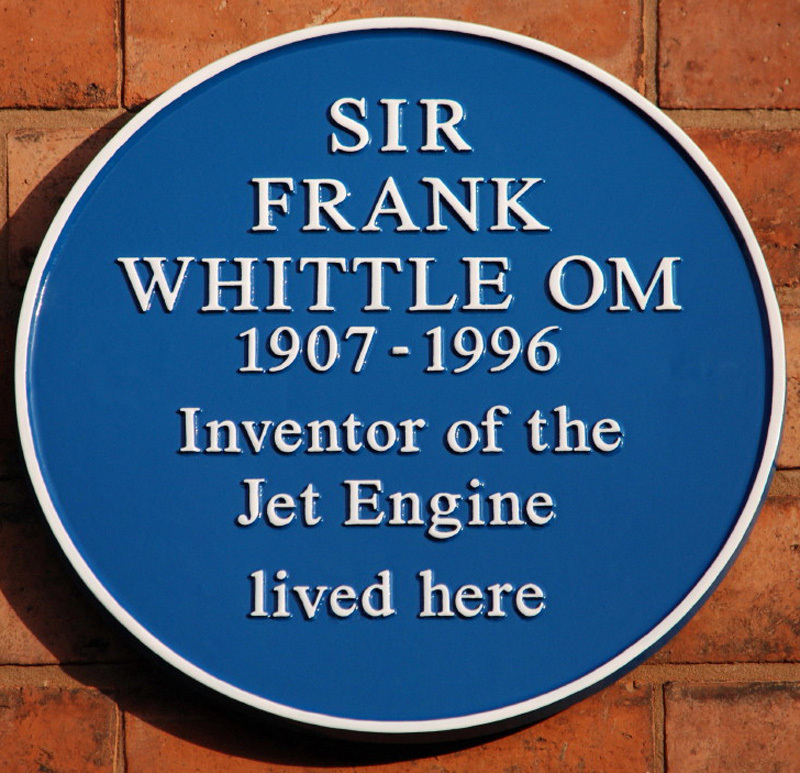 The ensuing years saw Frank gain a commission and he learned to fly aircraft of every description and in 1934 he went to Peterhouse College, Cambridge where he gained First Class Honours in the Mechanical Science Tripos. The first jet engine was built and run in Rugby in 1937 and the following year work on his turbo-jet engine moved to Lutterworth. 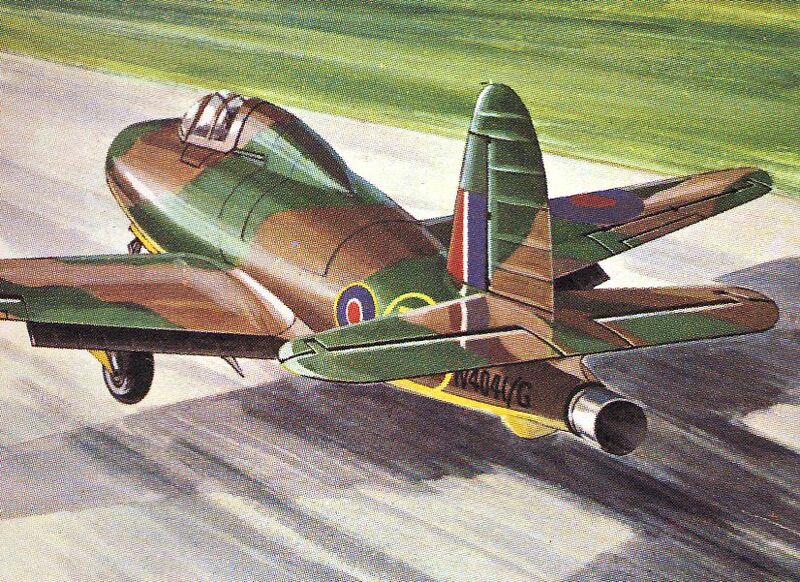 It was on 15 May 1941 that the world’s first jet aircraft the Gloster E28 made its maiden flight from Cranwell and the rest as they say, is history. 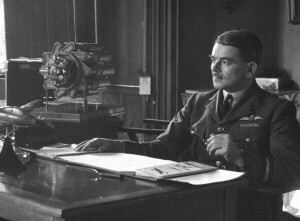 Honours and decorations were heaped on Frank Whittle, the working-class Leamington lad whose invention had changed the world we live in. He died at his home in Maryland, USA on 8 August 1996 at the age of 89. A memorial service was held in Westminster Abbey and fittingly, his ashes were interred in the chapel at RAF Cranwell. 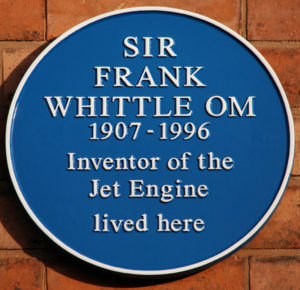 A Blue Plaque in memory of Sir Frank Whittle is displayed on 9 Victoria Street.